You have to have guts to cover a hallowed song like Aerosmith's 1973 classic ballad, "Dream On." "The decision to do 'Dream On' was very spur of the moment," Stars in Stereo tells Noisecreep. "We were in our studio recording some other songs and, like we usually do, were playing our favorite songs between takes. Someone started playing Aerosmith and we all kind of looked at each other and you could almost hear the gears turning in our heads over the music." Based in Los Angeles, Stars in Stereo recently released a self-titled 4-song album preview and will be heading out on a U.S. tour with Flyleaf and Drowning Pool in February. Noisecreep has partnered with Stars in Stereo to bring you their cover of Aerosmith's "Dream On," and as a bonus, you can also download the track for free! The band told us that while covering "Dream On" was a huge task, they're glad they did it. "The band has been a huge inspiration to all of us from the most recognizable, awe-inspiring vocals to the unforgettable guitar parts to the raw emotion of the music in general... Aerosmith creates moments with their music much like we hope to do with ours. The choice to do 'Dream On' was the easy part. We sat down and put our own spin on it and made something that we are all very proud of." 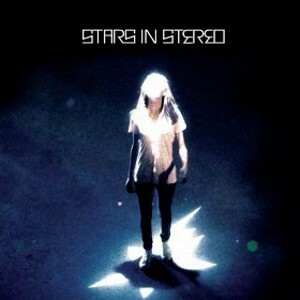 Pick up Stars in Stereo's self-titled album preview on iTunes and Amazon today!